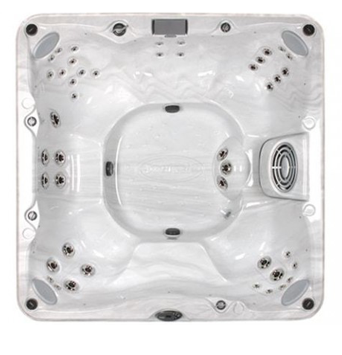 When you’re in search of an affordable yet inviting hot tub that seats up to six adults, choose the Jacuzzi® J-275™. 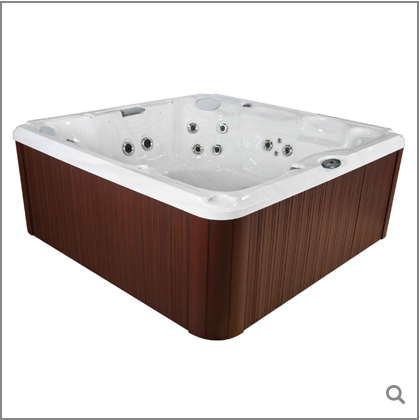 It has enough room to comfortably relax and rejuvenate, interior lighting and a soothing waterfall help to create the ultimate oasis within your price range. 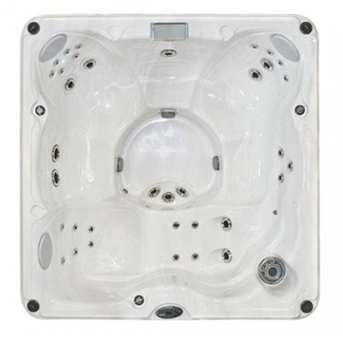 The J-275™ seats six adults and includes a comfortable lounge seat, with jets including pulsating calf jets to provide the perfect massage experience. 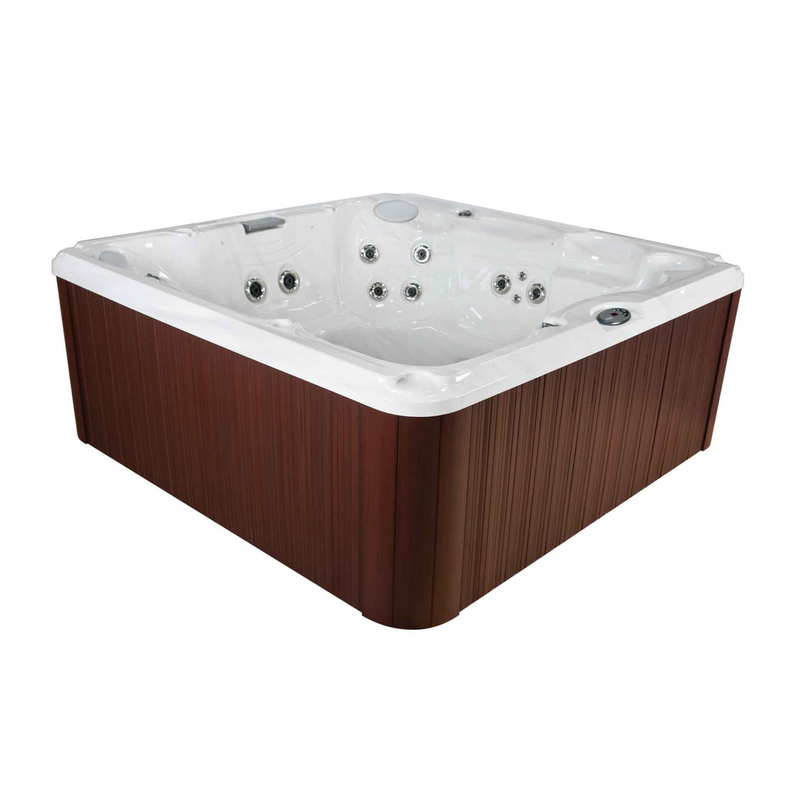 This model features powerful classic jets, boasting six robust rotational jets and lounge seating. Interior lighting enhances the experience and the sound of the classic waterfall creates a soothing environment perfect for connecting with friends or family. 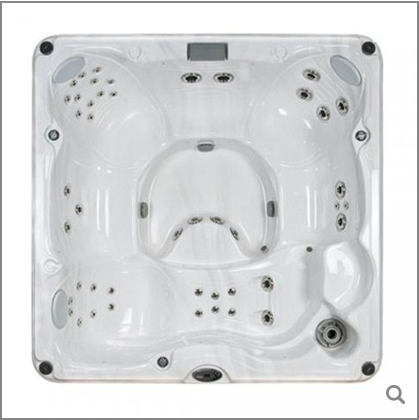 The two powerful pumps provide the power needed to bring every seat the perfect massage power. 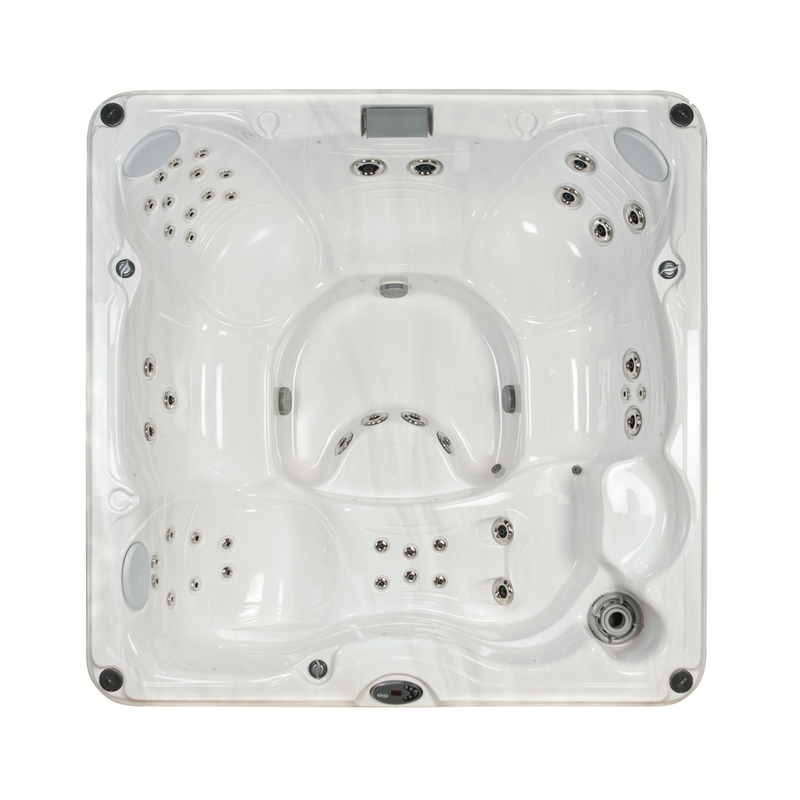 Using the same Jacuzzi® intelligence put into tested placement of classic jets, the J-275™ delivers an enjoyable complete hydromassage. 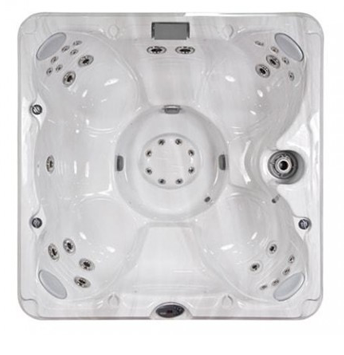 Factory options include a marine grade stereo that includes an iPod/iPhone dock that will even charge your device while you are listening!